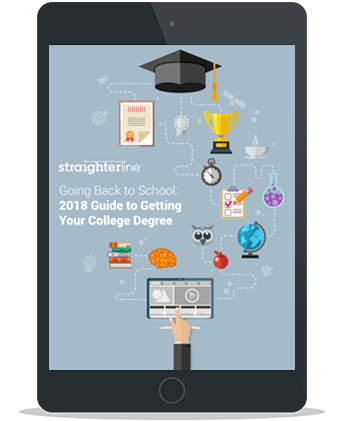 You can now download and enjoy The StraighterLine Guide: How to Go Back to College. Find out why it pays to get your degree. Learn what you can do before enrolling to save on your degree and increase your success. Discover how online education can make your degree possible. StraighterLine provides low-cost online courses that are guaranteed to save you money on your degree from schools in our network of over 130+ accredited colleges.